Infertility & Weighing Options - is an Egg Donor, Surrogate, or Adoption Financially Possible? You are here: Home / Family / Pregnancy & Baby / Infertility & Weighing Options – is an Egg Donor, Surrogate, or Adoption Financially Possible? Infertility & Weighing Options – is an Egg Donor, Surrogate, or Adoption Financially Possible? Infertility and the inability to carry a baby affects millions of American women. It’s common in our society to focus on the women who “accidentally” get pregnant. Heck, we even make shows about them like Teen Mom. Meanwhile, 1 in 8 married couples have trouble getting pregnant. Where’s the show for that? 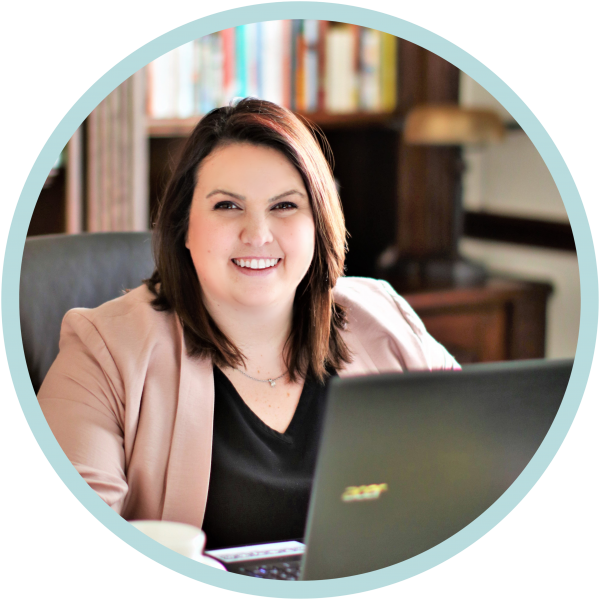 Part of me feels a little guilty tackling the subject of infertility because I am a mother of 2. I have not experienced the struggle, heartache, and feelings of failure that comes with trying for years to get pregnant. And I can only imagine the pain a woman must feel when it doesn’t happen for them, month after month. I’ve had friends and family members experiencing the entire range of infertility – from one married couple trying for over 10 years to have a baby, to a relative who utilized IVF treatment and had twins, to friends and relatives having miscarriages or “rainbow babies”, to friends whose bodies just can’t cope with pregnancy, period. It’s heartbreaking to hear their struggles and not be able to give any constructive advice. Nothing you say or do can make them feel better about their situation. We, the outsiders, with no personal experience in the matter, try saying things like “it’ll happen one day” or “what’s meant to be, will be” or “just you wait, you’ll get pregnant right after you adopt.” We mean well, but the things we say aren’t very helpful. Most of the time, it’s actually hurtful. It’s even more heartbreaking when you know they’re battling in their minds, the unfairness of things every time a friend gets excited after peeing on a stick. Or every time you hear a story on the news of parents who abuse, mistreat, or even kill their own children. Infertility is a serious issue millions of women face. According to RESOLVE (The National Infertility Association) 7.4 million women have trouble having a baby. The CDC (Centers for Disease Control and Prevention) reports up to 4.7 million men also suffer from infertility issues. There seems to be conflicting information, however, on whether the number of cases are increasing each year or if the percentages are staying about the same. Learn more about risks of infertility on WomensHealth.gov. The good news is, there are a growing number of fertility services that doctors and specialists now offer women and families needing help having a baby. 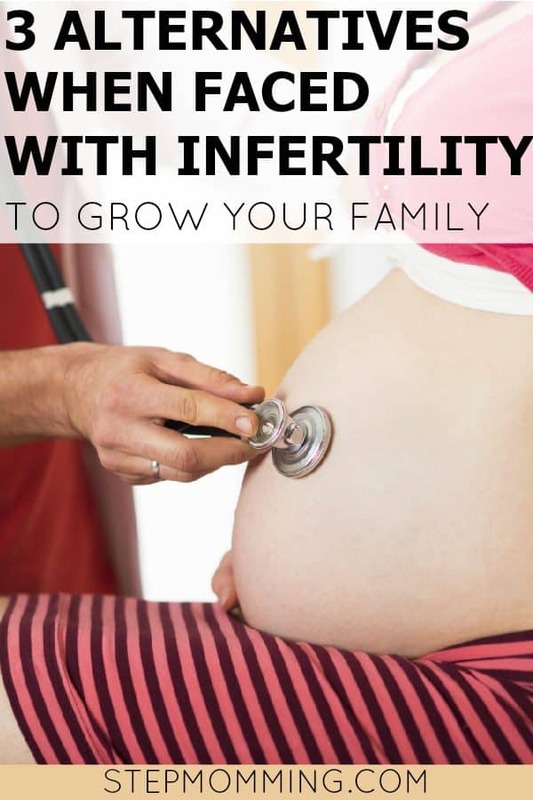 There are hormone treatments, fertility drugs, in vitro fertilization, diet and exercise programs, basal thermometers and ovulation trackers, surgeries, and so many other options to try depending on your particular fertility problems. And for some, there’s also egg donors, surrogates, or even adoption to think about. No, I am not saying that adoption, surrogacy, or egg donation is what you should do automatically if you can’t get pregnant – these methods aren’t for everyone. What I am saying is that for those who would consider it, there are other options. It all depends on you and your family’s wants and needs. If egg donors, surrogates, and adoption are all so great, what’s holding so many people back? Mainly, cost. It can cost tens of thousands of dollars for surrogates, IVF treatments, egg donations, or adoption. The kind of money that most of us don’t have just lying around. It can be extremely frustrating knowing that you would give anything to have a baby to love and cherish, and that you would have to pay through the nose to get it, while fertile Myrtle over there pops babies out every year, only to abuse or neglect them. It’s not fair. Life isn’t fair. We all come to this realization in one way or another. But if you are serious about wanting a baby and are considering using an egg donor, surrogate, or opting for adoption, perhaps there’s a chance money doesn’t have to stand in your way. Is there some way you can become a mom without going bankrupt? That’s what we’re exploring today, with fast facts on different child bearing methods. Because of how serious infertility is among those I love and care about, it became important to me to be able to do something about it. I joined an egg donor program in order to help a couple conceive a baby. It was a great experience, and I’d do it again in a heartbeat! Hollywood movies have made sperm donation commonplace for women who don’t have or don’t want a man but still want a baby. They don’t often talk about egg donation, though. If being pregnant is an important part to you when it comes to becoming a mom, sperm or egg donation may be best for you, depending on what your fertility issues are. Many agencies (including all the ones I’ve spoken to) specializing in donation make it a point to keep things as “anonymous” as possible. If you’re accepting a donation through their program, you, as the receiving party, will know the face, characteristics, and every health risk associated with the donor (you’ll actually choose who you want). The donor, however, will never know you. The programs are very good about keeping the two parties separate. From the start, the donating party will sign away all potential rights as a parent, with the option of allowing the child to contact them once they reach 18. Egg donors are commonly compensated for the process. Unlike sperm donors, there’s a lot to take on as an egg donor – from tests and evaluations, to fertility shots, travel, and taking time off work for the 5-9 day procedure. However, because the donor and potential parents are kept separate, the company directing the process handles any and all payments. Depending on the program or company, an egg donor may receive $5000-10,000 per collection (their fee increases with each successful cycle they donate) while potential parents may pay upwards of $17,000-23,000 for everything from the donor fee, to medical costs, to the IVF process and transfer (source). Some programs cost between $37,000-65,000 (source). There’s also an option of taking a donation from a friend or family member. This could help you significantly cut costs, depending on your agreement. These instances are a little trickier, however, because your friend or relative will obviously know the child and potentially be a part of their lives. The donor still doesn’t have any parental rights, but it would be up to you to decide how or if you’d ever tell your child about the donation. The costs also greatly depend on where the agency and clinic facilities are located. If you’re going through a company whose clinic is in Canada but you live in Texas, the recipient usually pays all the travel expenses of their donor. To lower this cost, look for an agency with clinics closer to home. Unfortunately, the greatest cost is the IVF process, something that most insurance plans do not cover. Most does not mean “all,” though, so be sure and check with your health insurance provider. For more information on Egg Donation, visit Giving Hope. But having a child by surrogate is one of the most costly options you have. Prices for everything – the agency fee, the surrogate fee, attorney fees, evaluations, medical and travel costs, etc. – range from $75,000 to $150,000 (source). I guess if you’re a celebrity that kind of money is a drop in the bucket but not for us normal folk. One way to make things cheaper is to find, interview, and designate your own surrogate. Doing so could cut the agency fee in half, and significantly lower the surrogate fee, depending on what your agreement is. You could also opt for a traditional surrogate rather than gestational surrogate if you’re looking to cut costs, don’t have viable eggs, or would otherwise be looking for an egg donor. With traditional surrogacy, the surrogate is artificially inseminated with your husband (or sperm donor’s) sperm, and there’s no need for expensive IVF. This, however, makes the surrogate the biological mother of the child she’s carrying for you, something most people shy away from today in fear of her changing her mind. Unfortunately most health insurances won’t cover a surrogate on your policy. Many also add surrogacy as an exclusion, making the surrogate’s health insurance policy unusable as well. While you could potentially ask the surrogate to refrain from telling their insurance that they’re a surrogate, this is a huge financial risk if something goes wrong or complications arise. Plus, it could be considered insurance fraud. You can always ask, of course. And if they deny covering her, try looking into purchasing a separate insurance policy. Most agencies can point you in the right direction. If surrogacy is the right path for you but you’re worried about the money side of things, try looking for a fertility center that offers in-house financing, payment plans, or cash discounts to assist you. You could even start a GoFundMe campaign to try and raise the money. For more information on on gestational surrogacy, visit Shared Conception. Compare the differences between traditional and gestational surrogacy on Surrogate.com. Adoption has been on my mind for years – it’s something I’ve seriously considered doing for a long time. And when I found out my fiance James was adopted, I knew that one day I’d have to go for it. There are so so many children in the world who need loving and caring homes, that we could easily open our doors to. The one thing holding back most, including myself? The price. I guess there’s a reason orphan Annie was adopted by Daddy Warbucks. International adoption (adopting a child from another country) can cost anywhere from $25,000 to $50,000 depending on the country and the child. This covers the adoption agency’s fee, a home study, background checks, travel costs, placement, adoption finalization, etc. Domestic adoption can cost up to $20,000 – $40,000 which includes the agency fee, home visits, background checks, the birth mom’s expenses, medical costs, etc. It’s also said to be a much shorter wait. Beware, however, reputable agencies often charge families on a sliding scale based on their income (source). And thankfully, nowadays there seem to be many more financing, grant, and assistance options with adoption. Not only from independent agencies and non-profits, but from many employers as well. Even health insurance plans often offer assistance. The Oxford Adoption Foundation – offers loans for couples adopting internationally. The National Adoption Foundation – offers loans, an adoption credit card, and grants for all types of families. A Child Waits Foundation – offers adoption grants and loans. The ABBA Fund – offers interest-free loans to Christian couples. Lifesong Legacy Fund – offers interest-free loans to Christian couples as well as matching grants. Federal Adoption Tax Credit – a potential tax credit of up to $6,000 per adopted child for the year the adoption is finalized. The Adoption Network Law Center – offers loans for families adopting newborns in the U.S.
AdoptTogether.org – a non-profit funding program that helps couples raise cash for adoption expenses. Much like a GoFundMe campaign but specifically for adoption. Check with your employer and health insurance provider to see if they offer any coverage for adoption expenses. If you’re looking for adoption-friendly workplaces who offer financial aid and paid adoption leave, check out the Dave Thomas Foundation for Adoption’s annual list of workplaces who offer the best adoption benefits (source). If you’re really looking to cut down costs with adoption, you should consider starting as a foster parent. Foster care adoption has almost no cost. In fact, parents are usually paid to foster children in their home. As a foster home, the state gives money to the families for food, insurance, clothes and school supplies. All you’d have to front is the $300-500 for a home study, so that social workers can make sure your home is fit for the kids. And if you follow through with the adoption, chances are you’d be reimbursed for that cost. James was adopted through Hope Cottage. 30 years ago, it was a place for regular adoption services where mothers would choose a new family for their baby through a social worker who compiled family profiles. Now, they offer Foster Adoption. In Hope Cottage’s foster adoption program, families are matched with children removed from their birth homes due to abuse or neglect under the Texas Department of Family and Protective Services. From what I could tell on their website, there currently are no fees to adopt through Hope Cottage, but families are required to be financially stable in order to adopt. You’ll also need to pay for legal fees for an attorney when it comes to finalizing the adoption. For more information on Hope Cottage, visit their website. Dealing with infertility when all you want to do is hold your child in your arms, is a difficult hurdle to overcome. One that some women never do. No matter what your situation is, it’s always good to educate yourself on what your options are. Adoption, surrogacy, and egg donation aren’t right for everyone, but hopefully this at least gives you a vantage point to consider what paths lie before you. Being a mom is arguably the biggest, most life-changing event imaginable. 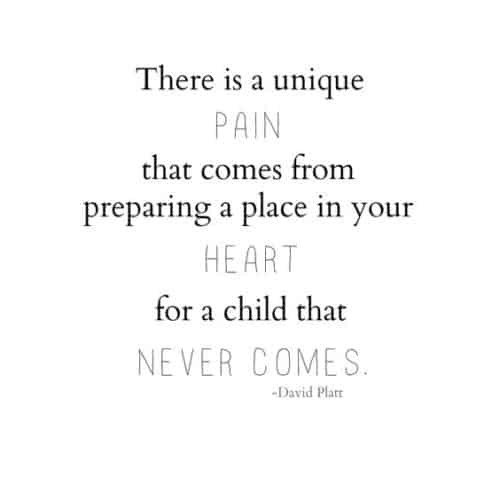 And for those who want more than anything to take on the challenge of raising brilliant, successful children, then adoption, surrogacy, or egg donation may be the key to making those dreams come true. Take some time to think, imagine yourself in each situation, do your research, and weigh the costs. Whatever you decide, I support you 100%.